A photograph of Borman Elementary School in Tucson, Arizona, circa 2014. Photo via public domain. FOR YEARS, the Tucson Unified School District kept a secret blacklist that included the names of about 1,400 former employees. The overwhelming majority of those employees were blacklisted for seemingly frivolous reasons: They had used all their vacation time, or had received a few poor performance evaluations, or had butted heads with a school administrator with access to the list. Many were teachers who had otherwise stellar careers in the district. My story about the existence of the blacklist for the Arizona Daily Star made big waves in a state that suffers from a severe teacher shortage. The Tucson Unified School District regularly relies on long-term substitutes because it can’t attract or retain enough certified teachers. ICYMI: A newsroom was told by management to run a “vile” editorial. Staffers made a bold move. 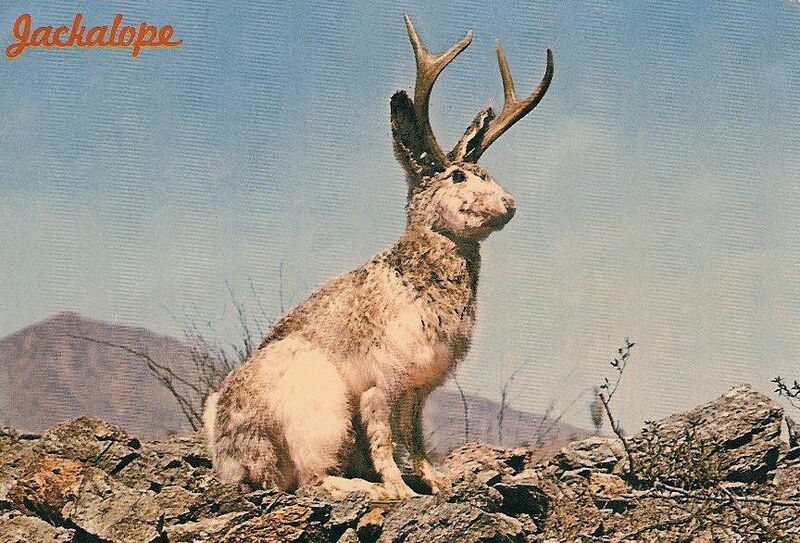 In my story, I compared the blacklist to a “jackalope”—a mythical creature of the American west—and wrote that it had “been talked about, but never actually spotted, for so long that it became part of TUSD lore.” After the story ran, when my colleagues congratulated me for catching a jackalope, I felt a little sheepish. To be honest, I didn’t actually catch it myself. I STARTED ON THE education beat for the Arizona Daily Star less than six months ago, and heard about the Tucson Unified School District blacklist almost immediately. A longtime school board member told me such a list existed, and had been used to retaliate against employees for at least a decade. He also said he had never seen it. He’d told other reporters about the rumored blacklist, he said, but nobody listened. At first, I figured if the story was true, then another reporter would have flushed it out long ago. Someone had probably spun their wheels and decided there was no blacklist—or, at least, no story. School district insiders didn’t consider the blacklist a myth or a secret. Still, no one I knew had ever seen it. No one could prove they were on it. No one knew how many people might have been blacklisted, or whether anyone on such a list might have done something so horrible that they deserved to be barred from future employment. For years, administrators flat-out denied that such a list existed, I was told. After three hours, I was the only reporter left in the room. Sometimes that’s all it takes. SHORTLY AFTER I STARTED ASKING around about the blacklist, an innocuous-looking item appeared at the end of a long and tedious school board agenda: “Review of Employee Eligibility for Re-hire.” A new school board majority, which included the board member who first mentioned the blacklist to me, hired a new superintendent, who acknowledged the list existed. A class of college journalism students came to that school board meeting for an assignment, but took off before that item came up. After three hours, I was the only reporter left in the room. Sometimes that’s all it takes. A five-page PowerPoint elicited a few minutes of discussion, largely over the semantics of whether there was a physical “list.” (There was.) Otherwise, taken at face value, the presentation wasn’t much help. It did not include any numbers, and just one bullet point acknowledged a “do not hire” list. I shot off a public records request—for the blacklist, any documents outlining current or past “do not hire” policies, and any documents created or used to prepare that PowerPoint. The names were redacted and the data was incomplete, but the records I received showed more than 1,400 employees had been blacklisted during the past two decades. Many of them were teachers. Perhaps only 500 or so employees deserved to be on the list; they had been fired for committing serious infractions, or resigned in lieu of being fired and signed paperwork stating they couldn’t work in the district again. SINCE THE DAILY STAR published my story on January 7, I’ve been slammed with calls and emails from people who want to know if they’re on the list, as well as people who knew, deep down, that they were on the list, and thanked me for exposing it. Many felt vindicated just knowing the blacklist really existed. I still don’t know if other reporters before me ever seriously looked into the blacklist. I don’t know if previous administrations simply stonewalled them. The blacklist drove good teachers out of education, and ruined good people’s lives. I’ve heard from veteran teachers who told me that a new principal made their lives miserable until they quit, in the twilight of their otherwise spotless careers. When those teachers applied for teaching jobs in and around the district, they received enthusiastic responses, but were ultimately denied, time and time again. I’ve also heard from people who wouldn’t talk to me before I published the piece, but now feel empowered to go on the record. There’s talk of lawsuits now, and the state Attorney General’s Office is soliciting calls from employees who think they were blacklisted. I wish I could attribute the piece to my own dogged reporting and network of sources. At best, I can attribute it to my ability to sit through tiresome public meetings. The credit for exposing the blacklist belongs to the school board member who chased this story for years, and the superintendent who owned up to the district’s mistakes. They caught the jackalope. I just mounted it on a plaque for all to see. Hank Stephenson is a reporter covering education for the Arizona Daily Star in Tucson. In 2016, he won the Arizona Press Club’s Journalist of the Year award, along with the organization’s Sledgehammer award for his work fighting for public records. He’s a three-time winner of the Arizona Newspaper Association’s Story of the Year award.